Following the awards night, Rainhill walked away with 2 wins! ​We are so lucky to have been nominated for 12 awards in the 2017 NODA awards! 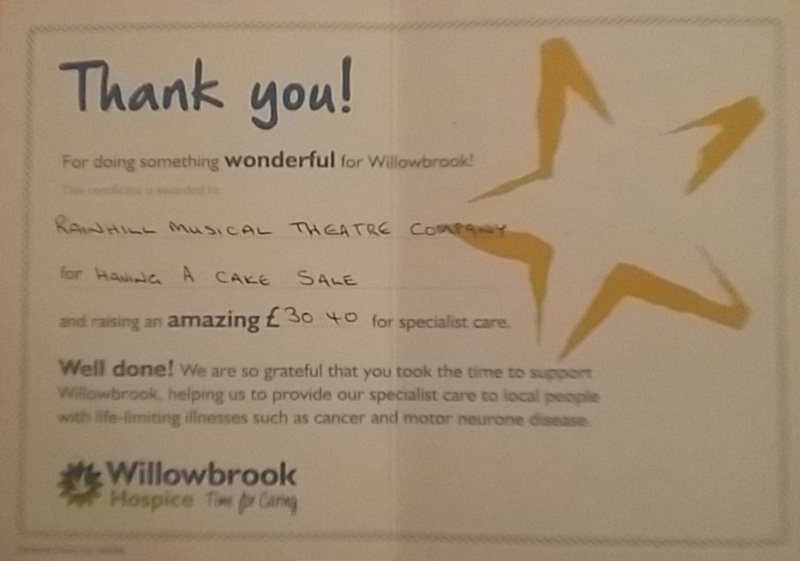 Thank you to all who came to support Willowbrook Hospice at Rainhill Musical Theatre Company's Tea Party. We raised a total of £30.40!